Have you ever been in your car and needed a straw or utensil? Maybe you needed a napkin? Well, recently that happened to me again so I decided to make up some to go utensil bags for my vehicles. 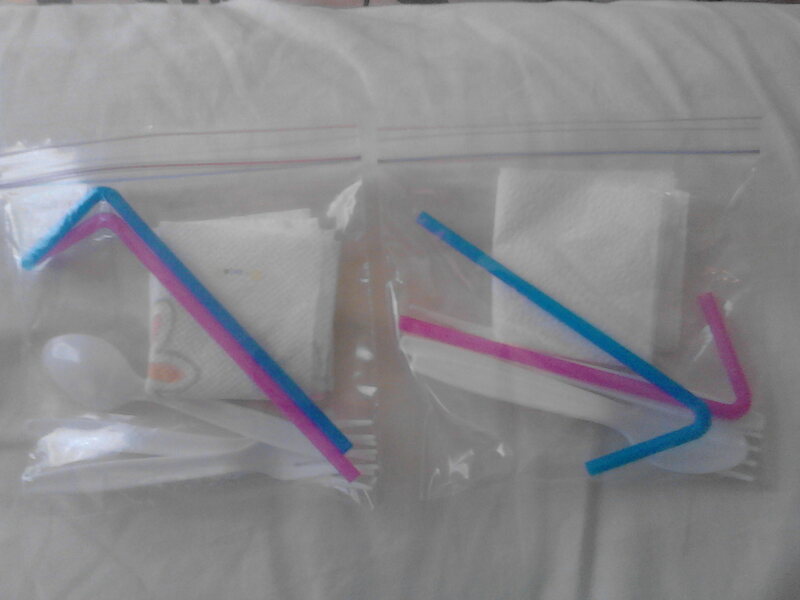 Inside each bag I included a straw, napkin, and plastic utensils. I placed them in my glove compartment so they’re handy to grab just in case the need arises again. With 3 children, I am sure the need will arise soon. This entry was posted in Residential Organizing and tagged Kitchen Organizing, Travel. Bookmark the permalink.